The massive misuse of central funds meant for child nutrition, unearthed after an income-tax raid in July, threatens to overshadow the Vyapam or Simhastha scams. The Dalia scam figures, as per initial estimates is over Rs. 4,600 crore, and many bigwigs of the government and State businessmen are involved in the huge loot of funds meant for providing nutritious food to children and pregnant women. Rakesh Dixit reports. Amajor income-tax department operation in July set off stunning revelations as to why Madhya Pradesh continues to be among top two States in India in child malnutrition despite spending billions of rupees on public nutrition distribution system. Madhya Pradesh is second only to Bihar in malnutrition with 42.8 per cent children being severely undernourished. Worse, Infant Mortality Rate (IMR) at 51/1000 is highest in the State in India, according to the 2015-2016 National Sample Survey (NSS) report. The IT operation, carried out for three days in 30 locations in Bhopal, Indore and Mumbai, blew up the lid on what has come to be known as multi-billion Dalia scam. 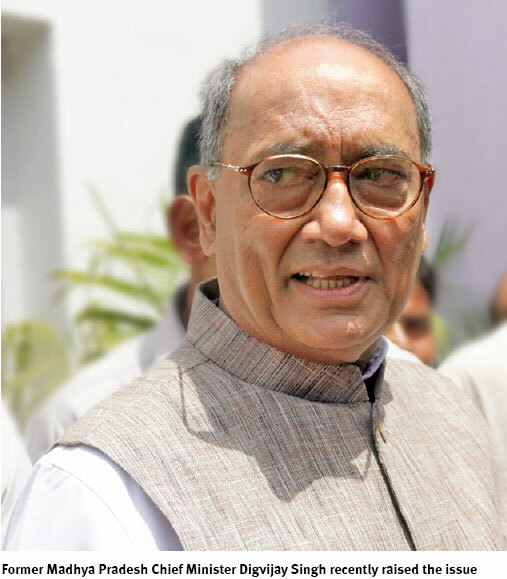 Senior Congress leader and former Madhya Pradesh Chief Minister Digvijay Singh raised the Dalia scam in the Rajya Sabha on August 18. He dared Prime Minister Narendra Modi to get the scam probed into, adding that the fund which was misused was of the Centre’s Integrated Child Development Scheme (ICDS). “The Congress will file public interest litigation (PIL) in the Supreme Court to unravel the scam and lodge an FIR against the culprits,” Singh said. The Shivraj Singh government is trying hard to hush-up the scam as many powerful bureaucrats, most notably the Chief Minister’s Man Friday SK Mishra, might land in trouble if murky details of the rip-off come to light. Mishra wears many hats. He is principal secretary to the Chief Minister, Commissioner, Public Relations and also Managing Director of the Madhya Pradesh Agro Industries Development Corporation. The corporation, aka MP Agro, turned into a milch cow in 2008 after it secured the authority from the Woman and Child Development Department to engage private companies for manufacturing and supplying nutritive Dalia and readymade food packets to Anganwadis across the State. Nearly 93,000 Anganwadis are mandated to distribute nutrition to pregnant women, malnourished children at their centres. The supplied food packets are also distributed among school children as a part of the mid-day meal. MP Agro, along with three companies—MP Agro Nutri Food, MP Agro Food Industry and MP Agrotonics Limited—monopolises the foodchain supply and manufacturing. The four entities function in a joint venture where MP Agro’s holding is 30 per cent. Earlier, the equity share between the corporation and companies was 51:49, which was tilted in favour of the companies. Together, they command an annual budget of Rs. 1,200 crore. The MP Agro Managing Director has a key role in deciding which company will get what share of the fund for manufacture and supply of prepared food. Stakes being so high, it is no wonder that the Chief Minister’s most trusted officer has been entrusted with the task. Before Mishra, another of Shivraj’s blue-eyed bureaucrats, Rakesh Shrivastava, was the MP Agro Managing Director till 2014. Like Mishra, Shrivastava also held the post of Commissioner, Public Relations as additional charge. He was subsequently sent to Gwalior as Excise Commissioner. 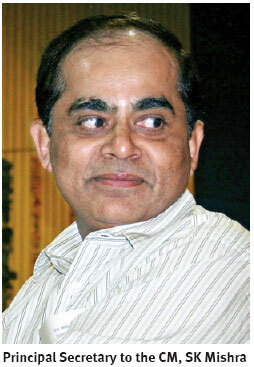 Recently, Shrivastava was made Managing Director of the MP Mandi Board. ACCORDING to those familiar with MP Agro’s functioning, the two Managing Directors in their tenures systematically allowed the three holding companies to thrive at the corporation’s expense. In the bargain, billions of rupees allegedly changed hands over the last eight years. The corruption acquired a permanent mechanism with the MP Agro entering into a five-year contract with the three companies for supply in 2012. While the companies’ production and turnover increased exponentially, MP Agro’s role correspondingly reduced. In 2005-06, MP Agro’s manufacturing plant in Badi, near Bhopal, produced 4,775 metric tonnes of nutritive food. 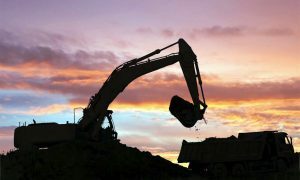 The production reduced to 1,877 metric tonnes in 2008-09. In the same period, production of MP Agro Nutri Food, one of the three private companies, grew from 3,816 metric tonnes to 11,019 tonnes. Other two companies also increased their production substantially. Ironically, while annual budget for nutritive food continued to increase, the plight of malnourished children in the State deteriorated. The budget for diets was Rs. 90.60 crore in 2004-2005. It went up year after year to touch Rs. 1,200 crore in 2015-16. But the annual budgetary growth miserably failed to address malnutrition. The number of malnourished women and children in Madhya Pradesh stands at roughly 97 lakhs in the State’s 8 crore population. Given stunning enormity of the mismatch between the budgets and benefits to the targeted beneficiaries, it is not difficult to surmise that political patronage from the top emboldened the two Managing Directors to subvert the system with gay abandon. 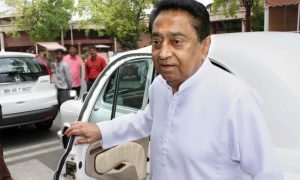 According to sources, a group of well-entrenched officers in the MP Agro allegedly played the role of facilitator for three private companies. That the group had the backing of the Managing Directors goes without saying. Of the group, four officers stand out from the rest. They are MP Agro general manager Ravindra Chaturvedi, nutrition in-charge Venktesh Dhawal and ICDS officers Akshay Shrivastava and Harish Mathur. Chaturvedi, who joined MP Agro in 1984 as deputy manager, has been on the forefront in thwarting every move to bring transparency in working of the corporation. He was appointed director in the contracted companies as MP Agro representative. Despite several department enquiries, he enjoyed full blessing of the MDs and acted as an interface between them and the company owners. Dhawal, who sets MP Agro’s agenda for food manufacturing and supply, had retired on June 30. But MD Mishra retained him by reappointing him on contract. The July income tax raids covered premises of Chaturvedi and Dhawal. Raids were also conducted at the premises of nutritive food suppliers, Sunil Jain, Hridyesh Dixit and Avadhesh Dixit. The Dixit brothers also own a media group. Besides, Jain and Dixits have also invested a substantial sum in real estate business in the name of Shrikrishna Devcon Private Limited. The company has housing projects in Indore and Mumbai. The investigation wing seized large volume of documents from 30 locations of MP Agro Industries, MP Agro Nutri Foods, MP Agrotonics, Indo Den Food, Shri Krishna Devcon Limited, (SKDL), Global Group and their allied companies situated in Indore, Barwah, Bhopal and Mumbai. Sunil Jain and Mukesh Jain are directors in MP Agro Nutri Foods. Avadhesh Dixit heads Global Group, which deals in real estate. All the three families and the companies they run have close financial ties, documents accessed by income tax department revealed. Together, the three families are into three types of businesses. Besides supplying cereals to Anganwadis and developing real estate projects, they have also entered into renewable energy sector. ALTHOUGH the income tax raids were essentially conducted to unearth tax evasion, the documents seized by the sleuths turned out to be damning evidence of the massive corruption jointly indulged in by MP Agro bureaucrats and the three companies. The income tax department has concluded its operation after making the Dixit brothers’ companies to surrender Rs. 50 crore. Hridyesh alone surrendered Rs. 5 crore after much dilly-dallying. But, follow-up action on the income tax department report by the State government is still awaited. AK Jaisawal, director general, investigation, Income Tax (MP), says the department has sent information about irregularities in quality of nutrition food to the concerned department. MP Agro managing director Mishra says the corporation will act against officers covered in the raids after the income tax report is received. The officers—Chaturvedi and Dhawal—were MP Agro nominees in the MP Nutri Food company, whose premises were raided. Two months have elapsed since the operation but no action by either the State government or MP Agro has followed. Although the Women and Child Development Minister, Archana Chitins, has promised that “no one will be allowed to go scot free for eating up the nutrition meant for the children,” her department has not taken any initiative so far. Chief Minister has not spoken a word on the massive operation that blew the lid on the Dalia scam. Notwithstanding the government’s attempts to shield the guilty, a sordid saga of corruption has followed in media following the income tax raids. 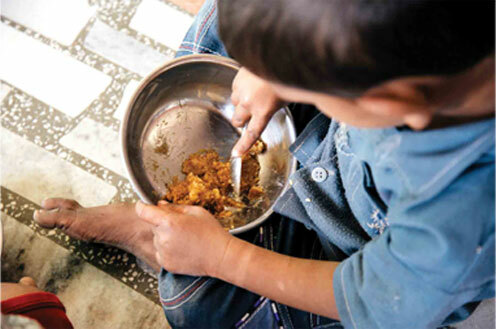 The details suggest that thousands of State’s children may have survived severe malnutrition if a corrupt government had not let a nexus of politicians-bureaucrats-contractors rob billions of rupees meant for their diets at the Anganwadis. This has been the tragic outcome of the wanton avarice of the nexus comprising successive Women and Child Development (WCD) department ministers and bureaucrats of MP Agro, besides owners of three nutritive food manufacturing companies. THE WCD department allocated a whopping Rs. 7,800 crore to MP Agro to get nutritive food pre-pared for distribution to malnou-rished children through Anganwadis over the last 12 years. MP Agro, in turn, got the nutritive prepared in the manufacturing units of MP Agro Nutri Food, MP Agro Food Industry and MP Agrotonics Limited. The chief operators of the four entities together allegedly compromised both quantity and quality of the nutritive food to as high as 60 per cent, according to an expose by Dainik Bhaskar. Simply put, they mutually conspired to gobble up nearly 60 per cent of the allocated fund—roughly Rs. 4,680 crore. Statistics of malnutrition deaths in Madhya Pradesh for the first six months of this year alone reflect enormity of the tragedy. Between January 1 and June 30 this year, 9,167 children died of malnutrition in the State. A maximum of 78,773 malnourished children have been identified in the tribal district of Dhar, followed by Badwani (58,781) and Alirajpur (40,107). Even in the State capital, Bhopal, the number of malnourished children in the 0-6 age group is over 26,000. In the last six months, 587 malnutrition deaths were reported in Bhopal, followed by Badwani (537), Balaghat (268), Betul (332), Chhatarpur (219), Guna (200), Jabalpur (276), Jhabua (251), Katni (212), Morena (226), Satna (346), Sehore (236), Seoni (256), Shivpuri (211), Ujjain (301) and Vidisha (341). Many of these deaths could have been avoided had the WCD department ensured strict monitoring of quality and quantity of the supplied food items. Quality check is a mere formality. Only recently, food packets of expired date were recovered in Rewa district. Food manufactured in January was being distributed in June. As per ICDS instructions, each normal child is entitled to get food worth Rs. 6. For girls, it is Rs. 8 per head and for a malnourished child Rs. 9 per head. But the instructions are mostly followed in the breach for want of strict checking mechanism. The food supply system has a vast network of district project officer in each of 51 districts, 453 block level projects and 3,100 supervisors. Each supervisor has 25 Anganwadis under his/her jurisdiction. They are supposed to send demand at the higher level, based on actual requirement. But, corruption starts from the lowest level. For example, if an Anganwadi sends demand for one gunny sack of food items, the demand is multiplied by up to four times at the woman and child directorate level in Bhopal. Inflated demand helps fudging billing and payments. The practice of undersupply of the food packets is also rampant. Suppose two trucks of materials is despatched from Bhopal. It will be shown as four trucks and the directorate will make payment for them on the basis of forged receipts. Another means of corruption is misreporting of children in Anganwadis. On paper, each Anganwadi has 100 registered children, but in most of them hardly 20 to 25 children are fed. However, billing is made for 80-90 children. Bogus billing in transportation is yet another way to make illegal profits. Normally, transporters’ rate is Rs. 1-2 per kg of food supply. But most of them charge as high as four times the stipulated rates. The difference in the billing is shared by transporters and officials. All bills for supply are cleared by the directorate. Rules provide that bills up to Rs. 2.5 crore will be cleared by the directorate. For bills exceeding this amount, files will move to the finance department. To avoid this, bills of higher amount are split in such a way that no bill exceeds the limit of Rs. 2.5 crore and thus gets cleared at the directorate level itself. For a callous State government, such an endemic malnutrition and resultant deaths may be cold statistics. But viewed against the backdrop of the revelations that followed the income tax raids, a chilling narrative of corruption, conspiracy and defiance of the Supreme Court order emerges. Madhya Pradesh is, historically, the most malnourished State in India. The Government of India and the World Health Organisation (WHO) send large funds every year under various schemes, particularly under the ICDS, to mitigate the problem. State’s WCD department also earmarks substantial amount to provide diet to malnourished children and pregnant mothers through Anganwadis. The huge fund attracts contractors. The WCD department enters into contracts with them for supplying readymade nutritive food, mostly Dalia, to the Anganwadis. The arrangement spawns massive loot, which contractors share with concerned politicians and bureaucrats. Baring sporadic complaints of corruption in the media from time to time, the nexus endure. Gradually, the corruption in centralised nutritive food supply became too endemic across India for certain public-spirited non-government organisations (NGOs) to keep quiet. They petitioned the Supreme Court for a directive. The apex court, in October 2004, ruled against the centralised, contractual system of nutritive food supply to Anganwadis. Instead, the court ordered State governments to deposit the fund meant for the diet in the joint accounts of Anganwadi workers and presidents of self-help groups (SHGs) working at the grassroots level. THE court verdict jolted the WCD officialdom’s monopolistic control over funds meant for Anganwadis. By the time the court verdict came, the BJP had ousted the Digvijay Singh-led Congress government. A new set of contractors successfully jockeyed for nutritive food manufacturing and supply. They managed to make the WCD minister sit on the Supreme Court order for two-and-a-half years. But defiance of the order for long was not possible as some NGOs were warning to move contempt petition in the Supreme Court. Eventually, the WCD minister implemented the court order in January 2007, only to revert to the old arrangement a year later. So, since 2007, the restored centralised system has continued till the income tax raids in July exposed the scam. On the face of it, this narrative looks uncomplicated. However, when we insert dramatic personae and their roles in it, enormity of the scam is mind-boggling. Dixit brothers, whose 20 premises in Bhopal, Indore and Mumbai were raided by a 300-strong team of income tax department sleuths, own MP Argo Nutri Food. Situated in Mandideep, near Bhopal, the company’s turnover is said to be Rs. 100 crore, though in the I-T sleuths’ estimation it could be much higher. 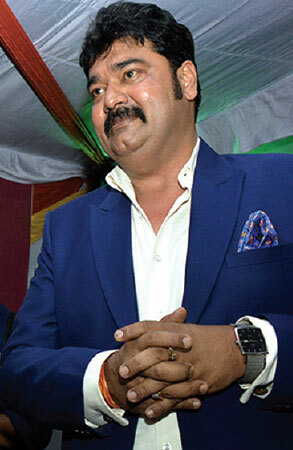 Hridyesh, the billionaire owner of several companies, had began his career in late 1989 as a journalist with a Rs. 450 salary in a small newspaper in Indore. Both his father Mohanlal and mother Shanta Devi were schoolteachers in Indore. Sauvé and ambitious, Hridyesh started to make a mark as a reporter and, four years later, he joined Dainik Bhaskar in Indore. A year later, he moved to the newspaper’s Bhopal edition. In the State capital, over time he made contacts with politicians and bureaucrats. The corrupt ecosystem in Bhopal was too alluring for him to resist. He showed no qualms in leveraging his burgeoning contacts to feather his nest. In Dainik Bhaskar, Hridyesh was a darling reporter of owner Sudhir Agrawal. Dixit maintained his flair for endearing himself to owners as he moved from Bhaskar to electronic media—first to Zee News and then Sahara. The success stories of Subhash Chandra and Subroto Roy inspired him to become a media owner himself. By 2010, Hridyesh had earned enough to start his own evening paper, Pradesh Today, from Bhopal. Today, the paper has eight editions in MP, Chhattisgarh, Rajasthan, Uttar Pradesh, Delhi and Gujarat. “It was my ambition to become a media king and not remain just a journalist. My dream is to make my media house number one in India with multimedia ownership,” Hridyesh told a Bhopal-based website Bichchu.com, which did his profile sometime back. PHENOMENAL rise of an ordinary reporter to a billionaire media baron in two decades has dazzled not only journalists, but also political and bureaucratic circles. The astonishing journey is also reflective of the acute susceptibility of the BJP government to corrosive manipulation by unscrupulous people. Hridyesh stands out as one of the shrewdest manipulators of the system. While still a journalist, Hridyesh had got into the supply business with the State government. His good relations with the then health director, Ashok Sharma, helped him enter into the medicine supply network. He roped in his relatively low-profile brother, Avadhesh, into the network. But a series of income tax raids at the premises of those linked to a multi-crore drug supply scam in 2008 forced the Dixit brothers to look for other channels. 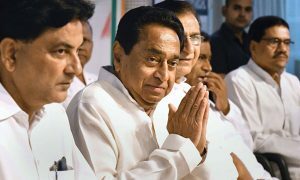 The raids were conducted at the premises of Hridyesh, apart from the then Home Secretary Rajesh Rajora, the brother of the then Health Minister, Ajay Vishnoi, health director Ashok Sharma and many others. Sharma, said to be Dixit’s business partner in the media group, was later dismissed. Having been blacklisted by the health department, the Dixit brothers focussed on manufacturing and supply of nutritive food. Initially their quantum of supply order was small. But, by and by, within a few years, their company, MP Nutri Food, became one of the three main suppliers of nutritive foods. Kusum Mahadele, the then WCD minister, played a major, if dubious, role in ensuring that the contractors such as Dixit brothers and others did not lose their ride on the gravy train following the Supreme Court’s order in October 2004 directing decentralisation of the food supply chain. 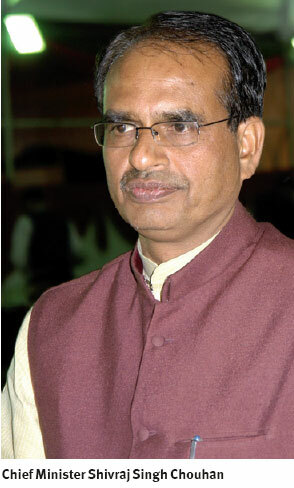 Mahadele, who is now jail minister in the Shivraj cabinet, sat on the court order for two-anda-half years. In January 2007, the then leader of opposition, late Jamuna Devi, raised objection to the Supreme Court order in the State Assembly. The Congress leader, who was WCD minister in the Digvijay Singh cabinet, protested the provision of depositing money for diets into the joint account of Anganwadi workers and SHGs. Her contention was that the government fund could not be transferred into the accounts of non-government persons. Jamuna Devi’s contention was music to Mahadele’s ears. The minister promptly promised the Congress leader to do her bidding. Mahadele’s department implemented the minister’s assurance in the House within eight days. In her alacrity, the minister did not bother to put up the decision before the State Cabinet for ratification nor did she seek the mandatory approval from the finance department. Interesting, the WCD cited another Supreme Court order to justify reverting the court’s previous order for decentralisation. The Supreme Court in 2007 had ruled that in the interest of the targeted children, it was imperative that tenders for nutrition supply were not invited very too often. This order not only came handy for the WCD department to restore the centralised supply system, but also to involve MP Agro in the supply chain. Soon, MP Argo signed a contract with the three manufacturing companies. It was also decided that MP Agro will start its own plant, but the idea was shelved allegedly under pressure from the contracted companies. Social activist Sachin Jain says contractors and private companies have dominated food supply to Anganwadis from the very beginning in contravention to the Supreme Court’s 2004 verdict. Jain, who was appointed advisor to the Supreme Court-appointed commissioners for study of malnutrition in Madhya Pradesh, points out that his NGO had moved to the Madhya Pradesh High Court against the WCD department’s decision to retain the old contractual system. “On our petition, the State government assured the court that it was ready to ensure supply of food items through SHGs for four days in a week. But that assurance was not followed,” Jain recalls. As complaints about inadequate supply from project officers at block to district levels reached the ICDS office, a senior officer drew the State government’s attention to irregularities in 2008. In his note sheet, the officer pointed out the opaqueness in the supply system. He also raised suspicion over the dubious manner of payments to the companies. The note sheet created flutter in the bureaucrat-contractor nexus, which succeeded in getting the officer removed using political clout. Ranjana Baghel, who is now the State BJP vice-president, succeeded Mahadele in 2008 as WCD minister. The new minister vehemently scuttled an attempt of an ICDS officer to bring transparency in the system. The officer had said in a note sheet in 2008 that supply of the food items be handed over to districts so that they could decide the quantum of food distribution on the basis of requirement from each Anganwadi under their jurisdiction. THE minister’s angry response to the officer’s request was that he was creating obstacles in the smooth functioning of the system. That was the last—and unsuccessful—attempt to put the corruption-ridden system back on track. 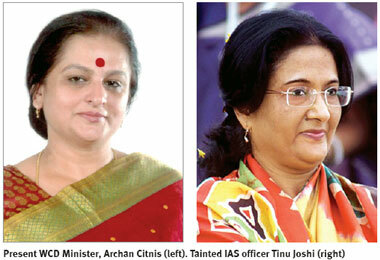 Tinu Joshi, the infamous IAS officer presently in jail, went a step further in favouring the three companies. During her tenure as Principal Secretary of WCD department in 2010, the tender contract was changed as per the company’s wishes. “During a meeting, she instructed the department officials not to indulge in politics over tender specifications. She instructed to change the share to 30:70 from 51:49 per cent,” according to a senior official of the department. During her tenure, the manufacturers used to test their samples in their own labs, which as per Central guidelines should be tested by the Food and Nutrition Board (FNB). The officer appointed to examine the food quality never reported any lapses. In February 2010, IT teams recovered Rs. 3 crore cash from the house of Tinu and her IAS husband, Arvind Joshi. The two officials were suspended and their services terminated. They are currently in jail.